Silly Jilly’s been in trouble with the climate mafia recently! A decade after the UK legislated to tackle climate change the Government’s official figures have revealed that the UK is on track to rely on coal for less than 5pc of its electricity for the first time since Industrial Revolution. At least Kevin Anderson is honest enough to admit that we will all have to radically alter our lifestyles, if we are to drastically cut emissions. Which is more than can be said for Claire Perry. ← Coastal Flooding? Blame It On Climate Change! This is the beginning of the next specious campaign of the climate faithful; that wonderful renewables have saved us all from climate calamity. As the planets ‘average’ temperature heads inexorably down below the IPCC’s lowest prediction, they simply must find something to explain it, and this is it. 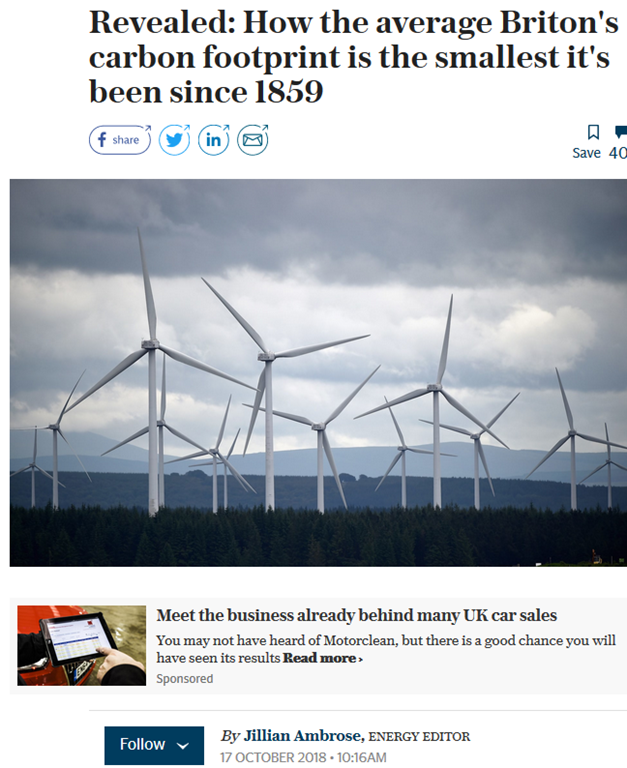 Renewables have saved us folks………..That’s what we’ll be hearing. Those not freezing to death due to no electricity and those not rummaging throw trash cans trying to find food will be hearing it. Perhaps it would be a good thing if Claire Perry drastically altered her lifestyle. Not being minister would be just the start of it. Trouble is, they seem to pop up like heads of the Hydra, and the next incumbent would likely be no better. Just watched BBC lunchtime news, where they were pushing the latest scam on a claimed increase in weather extremes and an increase in temperature. The increase in warm nights is apparently a big concern v/v the impact on the elderly. No balance naturally. I wonder what the impact on the elderly was in the claimed warmer winter. I’ve written to my MP asking for trends and numbers in winter and summer deaths. If the weather is getting warmer, should I expect an improving trend in winter stats and a worsening trend (though with much lower numbers) in summer trends? I also noted that ten years is just weather according to the scientists. Excess winter deaths are reported by ONS, & show a long-term decline – but IIRC there was a bump last year with the largely ineffective flu vaccine. I plotted excess deaths against winter temps a while back, and there was a relationship, albeit a weak one. It attributes something like 15,000 excess deaths to this winter. I can’t find an ONS report on this summer’s heatwave, but news sources range from 650-1000 ish. So not really comparable. Go to ONS and search for “excess winter mortality” for info. There’s nothing like a diet of random power cuts for ‘radically altering’ our lifestyles, whether we like it or not. Ratcheting up the reliance on unreliable renewables has to lead to that at some point, unless today’s policies suddenly change. “So we have a policy which is exporting jobs, exporting investment, exporting manufacturing, and increasing CO2 emissions at the same time. The Met Office quote these figures that are easily challenged. and ignore the fact that Britain is a very small island in World terms, and that Spain temperatures during the summer were often lower than our own. They are obviously fighting for their failing reputation and have to come up with more scare stories. Don’t worry the new UN Climate definition will come to their rescue, they will be able to invent temperatures to whatever level they want them to be. If they were at all serious they would have been going all out for nuclear and gas since the passing of the CCA, ignoring unreliables and putting lots of money into fusion research. But they haven’t, so they prove just how disingenuous (or plain stupid) they are. 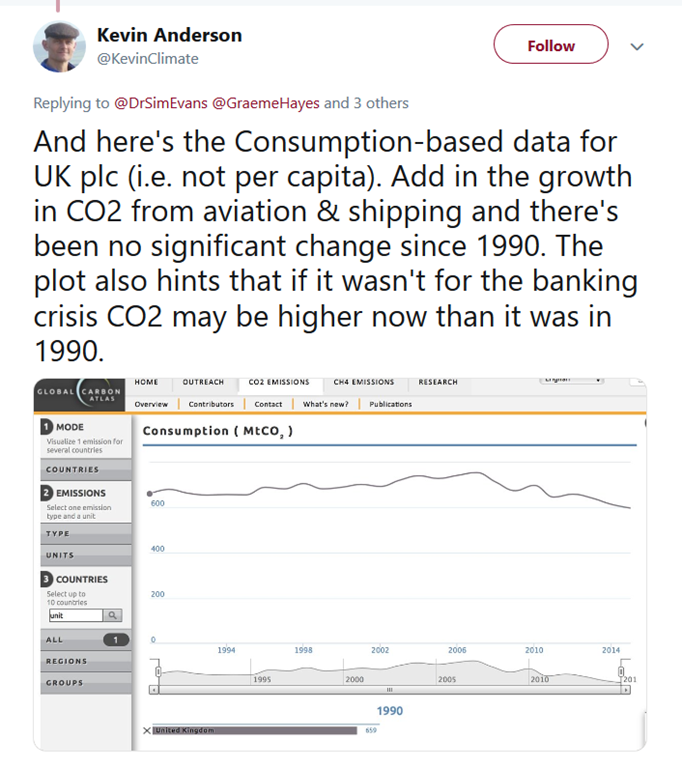 As far as the UK is concerned the AGW scare is doing exactly what it is intended to do in the UK. Removing industrial capacity from successful Western Nations and transferring it to chosen (by the UN) nations ……. so called “wealth redistribution” has been the goal all along. One doesn’t need to be a rocket scientist to see what’s happening yet the populace is allowing it to continue. Trump sees through the plan like a clean window. In the past I’ve said the U.K. should be on suicide watch, but from all I’m reading lately, it may already be too late. Perhaps hospice is a more appropriate choice? 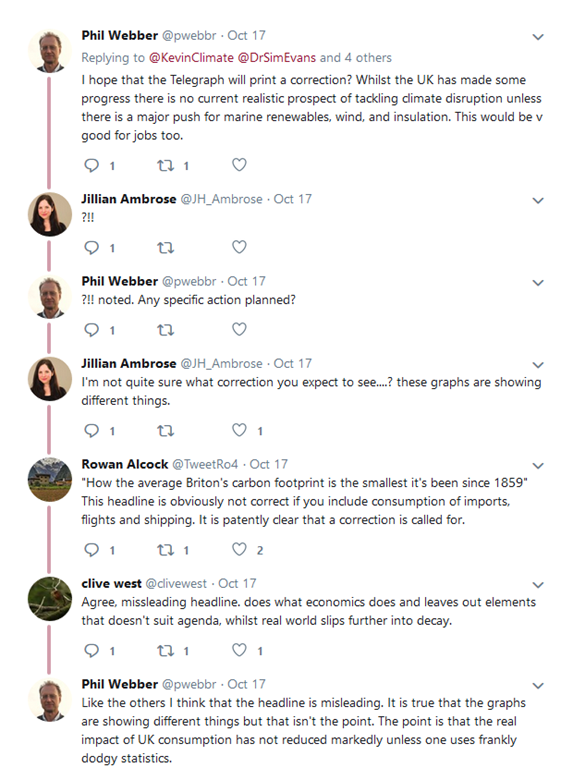 Isn’t Webber a smarty pants – ‘climate disruption’. Get the new name for global warming.